Read what people say of Umberto, or write your own review. I hope you choose Umberto as your driver/tour guide, you won't be disappointed! An amazing time on the Amalfi Coast, May, 2016, and Umberto treated us like royalty! We were picked up on time from the Naples train station by Umberto's driver, Daniele, who drove us to our destination, Praiano. From there we met Umberto and planned one day seeing the sights of the Amalfi Coast (Conca dei Marini, Amalfi, Ravello, Emerald Grotto and a Ceramic Factory) and a 2nd day tour of Pompei and Sorrento. Absolutely beautiful! Umberto was a very safe driver and gave us so much more than we had hoped for; info on the history, points of interest, great dining tips that proved excellent, plus added bonus....he sang to us as he drove. Can hardly wait to plan our next tour of Italy! If u want a young well dressed good looking English speaking Driver with an immaculate Mercedes car for Private Transfers Shore Excursions or City Tours than look no further than Umberto. He met us at Naples Train Station to take us to our Hotel in Sorrento. He was good fun helpful informative & very passionate about the area he comes from & pointed out some beautiful scenery with its history on our journey. We booked him a few days later to take us on the Amalfi Coast Drive & we had an amazing time with him. He made us feel special & looked after us well & we have no hesitation in recommending him 100%. Our experience with Umberto couldn't have been better! We hired him to pick us up at the train station in Naples and deliver us to our rental in Positano. We also had a day trip to Ravello. He is very knowledgeable, informative and enthusiastic about the Amalfi Coast area which enriched our enjoyment and understanding of the culture and history of the area and much of Italy also. I would recommend him 100%. He made our fantastic trip to Italy even more amazing! Umberto is a professional, prompt, knowledgeable, and reliable driver and tour guide. He is a very safe and excellent driver. The personal service he provided during our week in Positano was one of the highlights of our trip. My husband commented that "Umberto was the best money we spent during our 2 week trip in Italy". His communication was prompt and responsive. He picked us up at the train station in Naples, meeting us as we walked off the train. 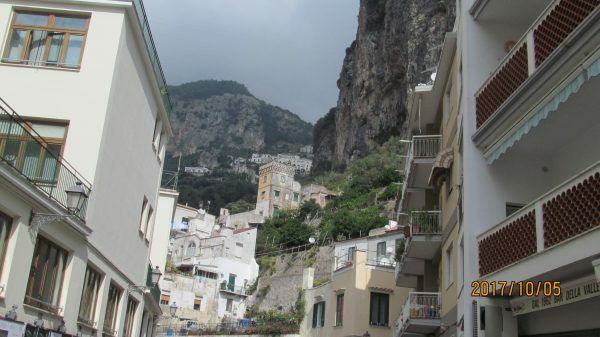 He called the property owner and arranged a meeting time then delivered us to the doorstep of our apartment in Positano. Along the drive he provided historical and other interesting information about the beautiful sights of the Amalfi Coast. On another day he took us on a lovely tour of the towns of Amalfi and Rovello on the way to drop us off for a day hike high above the coast along the "Path of the Gods Trail". He knew exactly how long the hike would take and picked us up 2 1/2 hours later on the other end. This was a wonderful experience and a must see if you enjoy hiking and are in the area. He provided excellent advise about things to see and places to eat locally. When he took us to Naples for our return train to Rome, he came inside the terminal and helped us purchase train tickets for the transfers from our hotel in Rome to the airport the following day. His warm, friendly, intelligent personality is a special benefit. Umberto made us feel safe, taken care of and right at home. We highly recommend his services! Enjoyed our tour with Umberto so much last year.....we are booking with him again this year! Cannot wait ! I know we will have another amazing time!! Definitely recommend touring with him!!! Umberto was a fantastic tour guide. We were 5 in our party, picked us up on arrival at Rome airport and drove us down to the Amalfi Coast where we stayed. We all felt well-taken care of. He had arranged all activities for us, including restaurants, shopping, boating, and took us to all the coastal cities/villages along the way and back to Rome after our coastal stay ended. Planning on going returning in September and will contact Umberto for arrangements. We travelled as a group of 35 in June 2017. Umberto exceeded our expectations as he arranged our transfers from the airport, tours of Rome, Sorrento and the Pompei Ruins. He is professional, respectful as is his drivers. I would not return to Positano without consulting Umberto. He returned emails immediately and made sure all our questions were answered and our needs were met. I can not recommend him enough if you are visiting Positano and the surrounding areas!!!! Umberto took L MAC 60 on tour being a great tour seeing all sights of the AMALFI COAST and POSITANO and SORRENTO just breathtaking and Umberto knowing his stuff very well , very passionate we were thankful to have the best guide and he can sing you a song , go see pictures L MAC 60 I highly recommend UMBERTO LIMOS POSITANO the very best . Umberto is an outstanding guide with excellent local knowledge. He was so accommodating with our family and we spent two amazing days - one touring the Amalfi Coast and the other a food tour of Sorrento. We felt so safe in his care on the roads and he spent time booking us into other sites such as Pompeii and organising us a guide. So much attention to every detail to make our time the best. A true gentleman and a guide we highly recommend.